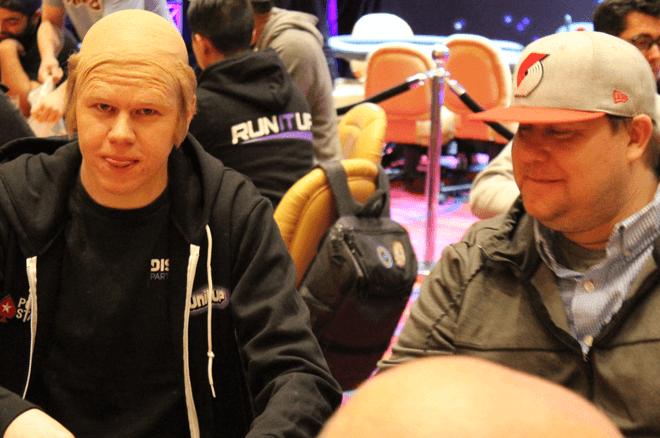 An avatar/emote brought to life as "Bald @spraggy" makes his @runitupreno debut! There’s no denying Benjamin Spragg, known to the masses as “Spraggy,” is a good sport. 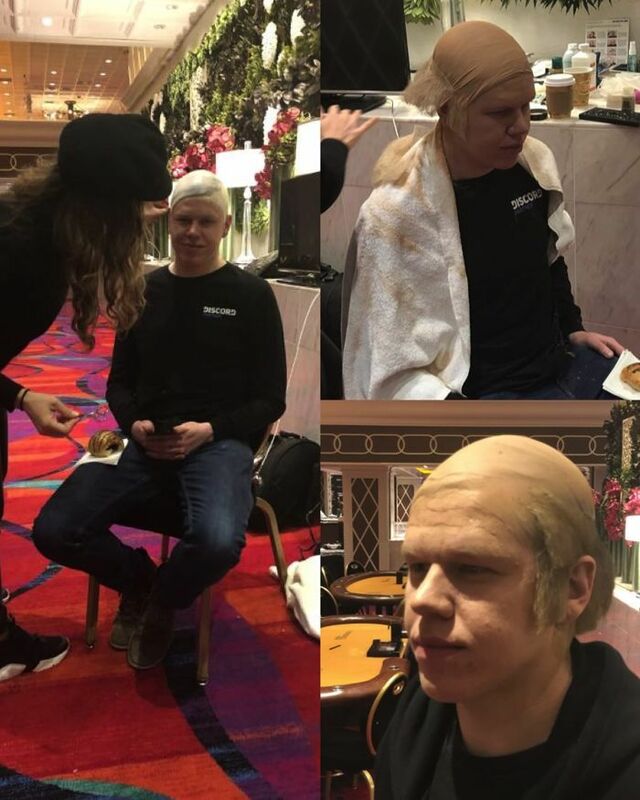 Today, on Sunday he went bald for Day 2 of the Run It Up Reno VIII $440 Mini Main Event. It’s not necessarily by choice though, but rather the result of losing a prop bet rooted in a simple, albeit hilarious, fan-created emoji. "You’re drawing snap-dead because you’ll never make me laugh on stream." “I’ll do it if you make me laugh [on stream],” Spraggy said. Fullen, who organizes many of RIU’s social events, was up for the challenge. So what was the joke that got the unflinching Spraggy to crack a smile and let slip a laugh? “It’s obviously not a funny joke, but the idea of him thinking it would make me laugh, almost as soon as I started reading the first line [in the chat] I started laughing,” Spraggy said. 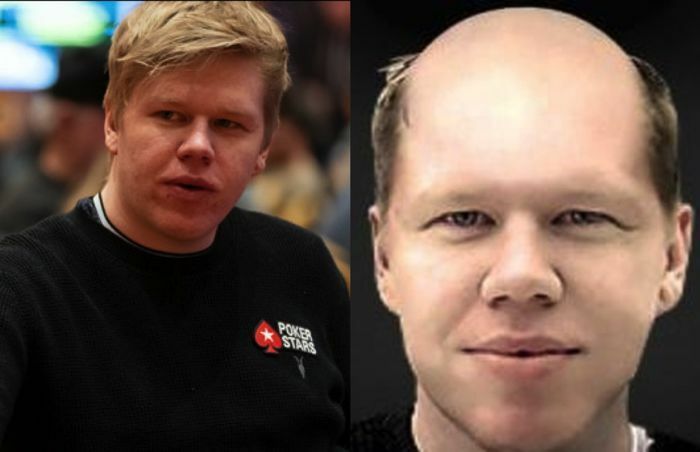 Real Spraggy and the emote the PokerStars avatar that inspired it all. Fullen wasn’t going to make Spraggy shave his head for accepting a bad bet and laughing at an even worse joke. However, he still wanted to punish him. The two came to terms that a Reno-based makeup artist would fit Spraggy with a bald cap he’ll have to wear all day. “This is going to live on. When people talk about RIU Reno this is one of the things they’ll remember,” Fullen said as he watched the makeup artist do her work. A solemn-looking Spraggy wasn’t so cheerful. Chances are you'll be seeing more of "Bald Spraggy" as he's expected to make the feature table live stream on RunItUp.TV, or even if he doesn't and busts, don't be surprised to see him tackle commentary duties. Spraggy in the make-up chair. Be sure to follow the conclusion of the RIU Reno VIII $440 Mini Main Event. Not only will it be live streamed on RunItUp.TV, but PokerNews will be offering live updates right up until a winner is crowned. Click here to be check out our RIU Reno portal. Benjamin "Spraggy" Spragg: "To Play a $25k Live Was Huge For Me!"